Home›Money›Manage Your Money as a Business. 6 Things To Keep in Mind. Cash flow is extremely critical to any business. In the absence of a proper cash flow, it may be difficult for your business to spend money on procuring materials from your supplier and holding them till they are sold to a customer for profit. 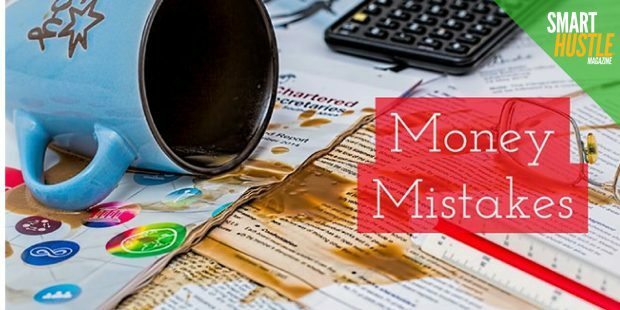 In this article, we will take a look at some practices followed by some of the biggest money managers in the world to manage business money. A cash flow budget is a document that aggregates all your current and upcoming revenues and expenses. This helps a business diligently plan for future expenses. A typical cash flow budget includes components like the sales and revenue forecasts for the next six months, the anticipated inflows during this period, and the cost of goods procured in the same time-frame along with debt repayments and operating expenses which together constitute the anticipated outflows. The selling price of your product or service is a factor of your expenses. Expenses in this case include the cost of goods, your marketing budget, fixed costs (employee salaries, office rental, etc.). Theoretically, your selling price is calculated after factoring in your expenses and adding a margin to the total costs. However, this is not always possible since selling prices are also determined by prices set by competition for their products. Knowing the bottlenecks (selling price in this case) would help your business identify areas of optimization. For instance, your business could look at switching suppliers to reduce cost of goods, or move to a smaller office if this could help your business improve margins without increasing your selling price. One of the major reasons why many businesses suffer from poor cash flow is because of poor credit policy structuring. According to Grayson Lafrenz, the CEO of Power Digital, a general rule of thumb is to trust your clients, but have a pulse on the account at all times. Extending customer credit for too long or too high may come back around to burn the business if eventually, a client defaults on all their dues. Establishing hard-nosed credit policies may be a tough nut to crack; especially for small businesses that do not maintain sufficient leverage. Some of the easier ways these companies can ensure some financial security by incentivizing discounts for pre or early payment and late fees for another behind schedule. It can be hard to challenge client's integrity if they are late on the payment and could cost you a client, but if they are always causing financial trouble, how much are they worth? Overshooting deadlines to pay your creditors is not a healthy money management practice. Not only do businesses that violate credit policies get charged with late payment fee (that add to your existing outflows), but such policies could also potentially bring down your credit worthiness. This affects your future ability to finance your business through debt. Poor credit worthiness can choke a business and it is very important for a business to repay its creditors on time. Not all credit facilities are appropriate for your business. A debt finance model only works If your business is making money currently and can pay off the money owed in equal installments. An equity model is ideal if you are a startup that is focusing on market share and is willing to trade that for profitability. The source of your debt matters too. If you are an inexperienced business owner, an angel investor who offers debt financing but is willing to play the mentor’s role in your business can be a better deal than an institutional financier who is only concerned about your repayment schedules. account. Depending on your jurisdiction, you may be taxed on dormant profits. Even in the absence of such tax policies, it is important to invest your profits suitably. You should seek an investment service that can help you multiply your cash surplus. Ideally, your business must hold an emergency fund in an instrument that can be pulled out in quicktime. Money that is not needed immediately may be invested in long-term instruments that also generate much higher returns. What other steps does your business take to handle cash flow and grow your money? Share your tips in the comments below. 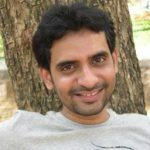 Author Bio: Anand Srinivasan is the founder of Hubbion, a free to use project management tool for small and medium businesses.